One of the best things about growing broccoli in your garden is that is is so hardy it can withstand a frost of light snow. 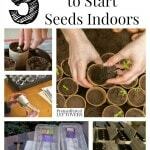 You can start broccoli seeds indoors, then harden them off after the last hard freeze and transplant them outdoors. Broccoli has gotten a bad rap over the years, as children would rather turn their noses up at it than give it a decent try. The truth is, broccoli can be quite tasty, and offers many health benefits such as iron and fiber. Consider adding broccoli to your garden plans this year, so you can have it fresh at your fingertips when you need it. Here are some tips for growing broccoli in your garden this season. Broccoli is slow growing, so start it indoors 6 weeks before the final frost of the season. Use a nutrient rich soil and plant seeds ½ an inch deep in your seed starters. Most seedlings are fine to be transplanted when 2-3 inches tall, but you want to wait until broccoli seedlings are a good 5-6 inches tall before you move them. You want them to be hardy, and to be sure the threat of further frost has passed. Seedlings should be planted a good 3 inches deep, and each plant should have a at least 12 if not 18 inches between it and other plants. Broccoli does like to stretch out, so by giving it this kind of space you can allow it to do so and thrive. Broccoli is such a low key vegetable. You will find that it doesn’t need any fancy care in order to get it growing. Be sure it is getting 6 hours of sunlight a day and is in moist soil. You don’t want to allow the soil to dry out at any point. Pests may be a problem, so be sure to keep an eye out for bugs such as aphids. 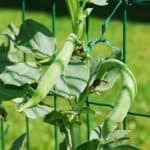 When you see them, remove the pest as well as any damaged portion of the plants. Some also like to put collars around the stem of their broccoli plants to keep pests from eating and climbing on them. You can create your own collar out of paper or cardboard tubes if you wish. Fertilizing your broccoli is not necessary. Should you still want to, a basic garden fertilizer will do the trick. Aside from the tips above, not knowing when to harvest the broccoli is the biggest mistake first time growers make. The broccoli you are growing fresh in your garden may not look like the stems of broccoli you buy at the store. Knowing this is important, as it can keep you from allowing your broccoli to overgrow. 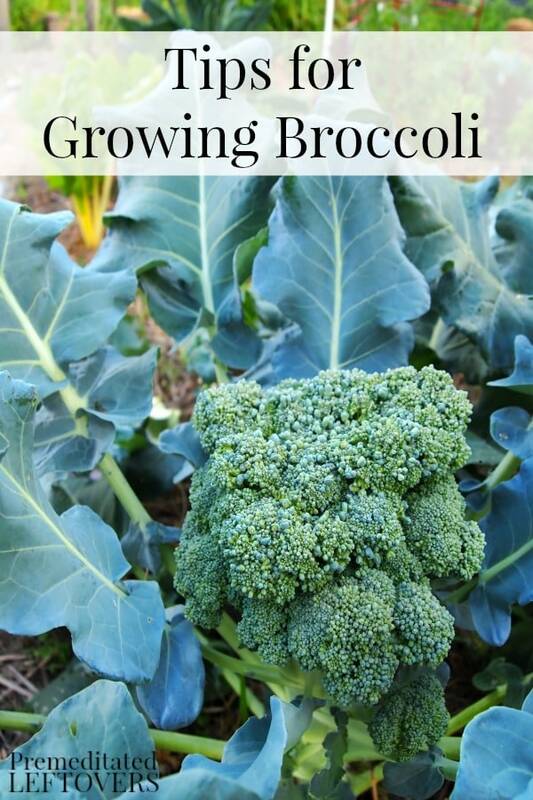 Are you wondering if you can grow broccoli in a pot? 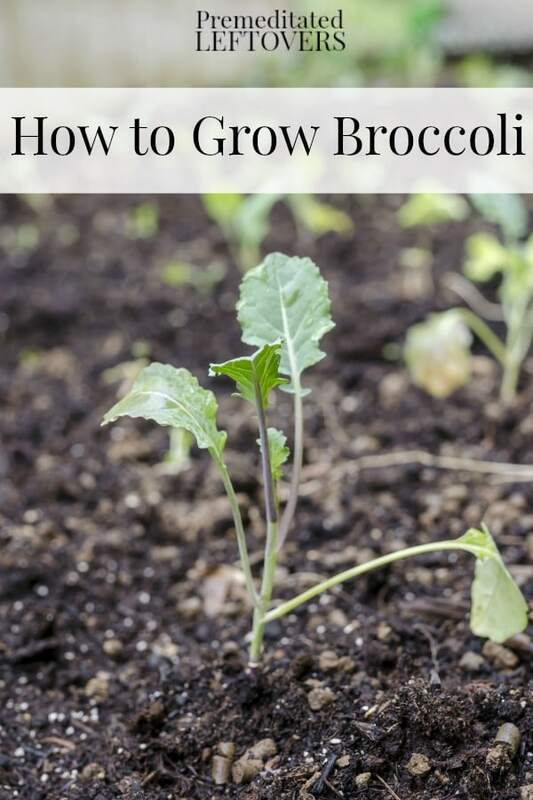 You can grow broccoli in a container garden, but it is a heavy feeder, so it needs more space and nutrient dense soil than other vegetables of similar size. It also only produces 2 crops, the main head and then the side shoots, so you don't get as much produce for your space as you would from lettuce or kale. Plant your seeds or start a seedling in the center of a 3 gallon pot, follow the growing instructions above. When growing broccoli in a container, you will want to extend its growing season by moving the pot to a shaded area once it becomes hot outside. This will help ensure you are able to harvest the second crop of side shoots. Here are more container gardening tips. The average head of broccoli is the size of an adult fist. Do not wait for the head to grow any larger than that as it will not taste the same. It will instead be bitter and dull. Do not wait for the broccoli head to flower or produce small white bumps. 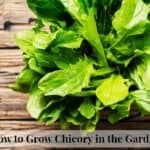 Instead, simply cut it at the stem when it is the size of a fist and bright green. Once your broccoli is harvested you can steam it, eat it fresh, add it to salads, and cook it into casseroles! Broccoli has so many serving options, you may have to grow a whole garden full to try them all. 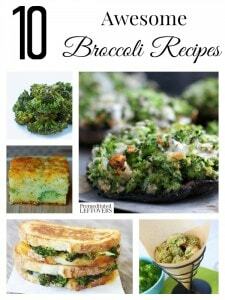 Here are 10 Broccoli Recipes to try once you have harvested your broccoli. 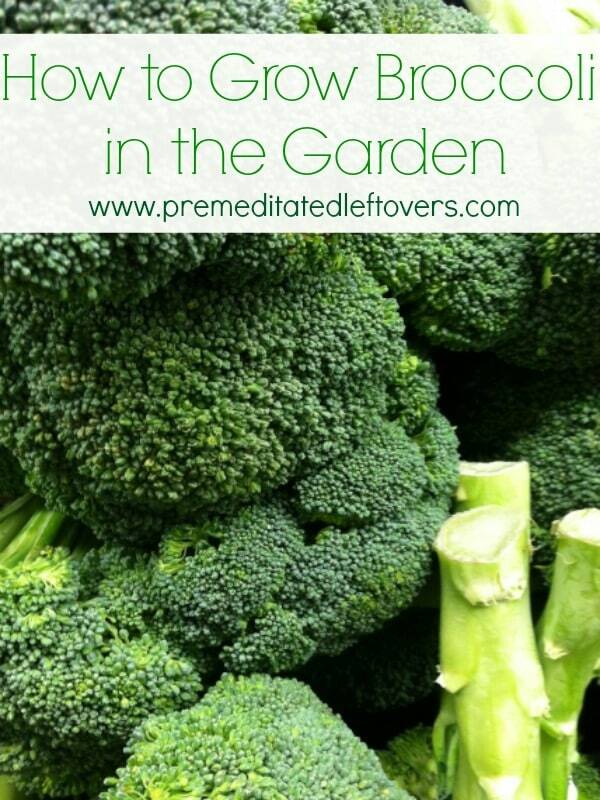 Give these tips for growing broccoli in your garden a try and see what a great addition it is to your garden! Hi, I wanted to let you know that I originally saw this article on a scrapper site, they cut and pasted the entire thing. I thought you would want to know. This is my first year growing broccoli, thank you for the tips. They were very helpful. How many times will brocilli produce from one plant. I have a lot of large leaves, but no head. What’s going on? This is a fall crop. My plants are doing the same thing. Large plants with big leaves but no broccoli heads. I’ve had a garden my whole life and thought I knew everything. lol I loved reading your tips on green beans, peas, broccoli, cauliflower, and carrots. VERY helpful and informative. I saved your website for future reference. Thank you!!! Should I cut leaves that turn yellow? Should I prune the plant?